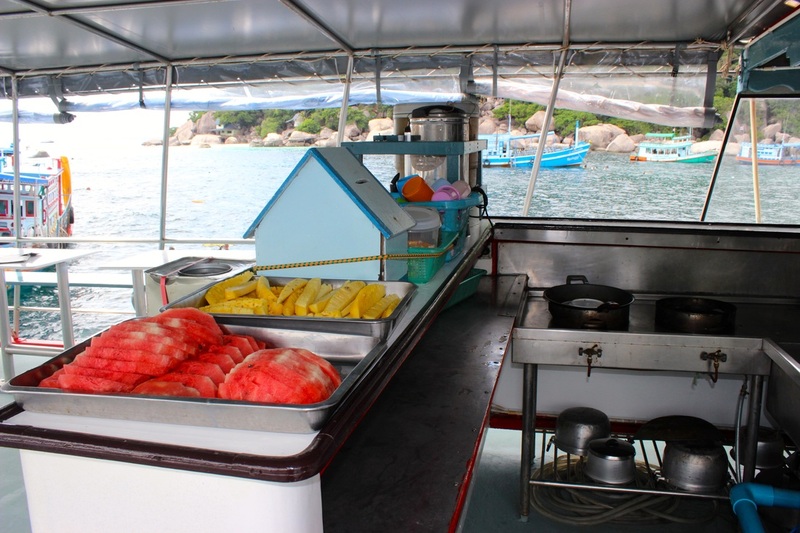 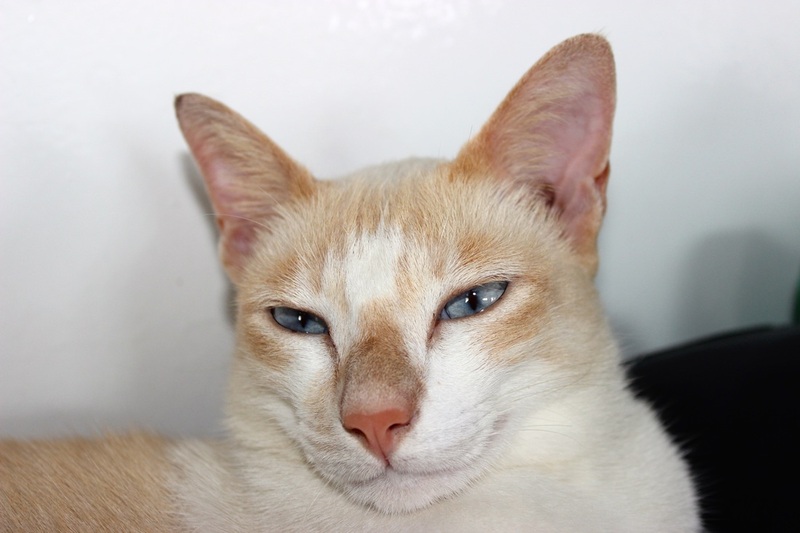 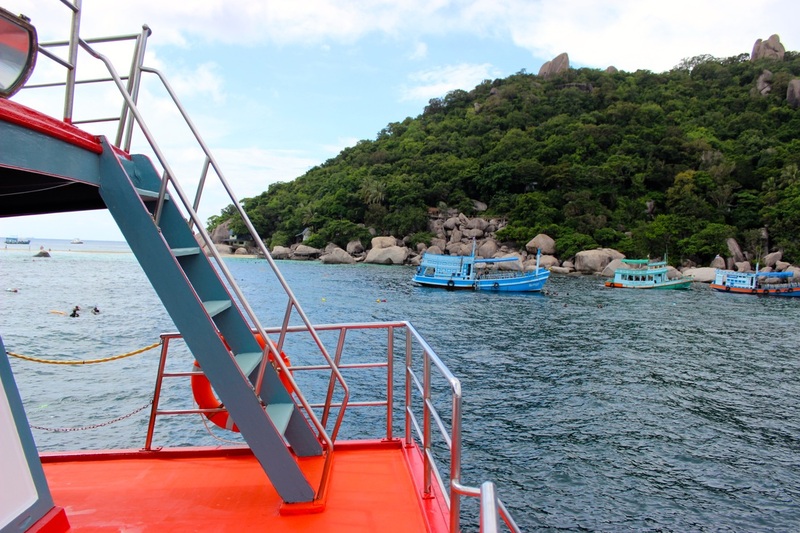 We dive from the most comfortable and well-appointed boat in Koh Tao. This is a custom made dive vessel, both spacious and beautifully maintained. The lower dive deck is fully equipped with recently serviced tanks, three new compressors, first aid kits, oxygen, 2 fresh water showers, 2 large toilets, an equipment room, and equipment wash station. 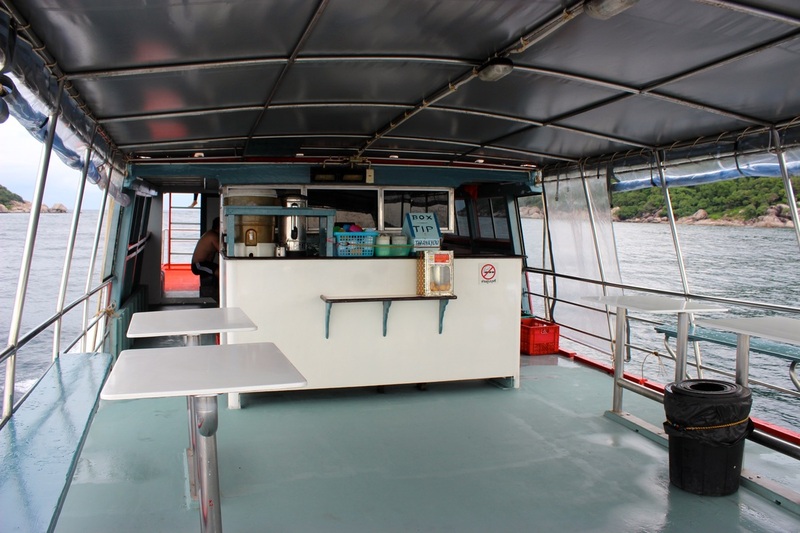 The middle deck includes the captain's cabin and kitchen with indoor and outdoor seating. Additionally, we offer a tea and coffee station, fruit, snacks, and a hot breakfast served between morning dives. 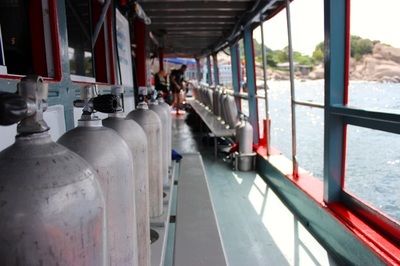 The upper sundeck is grass-covered, and perfect for working on your tan, and getting briefed for your next dive! 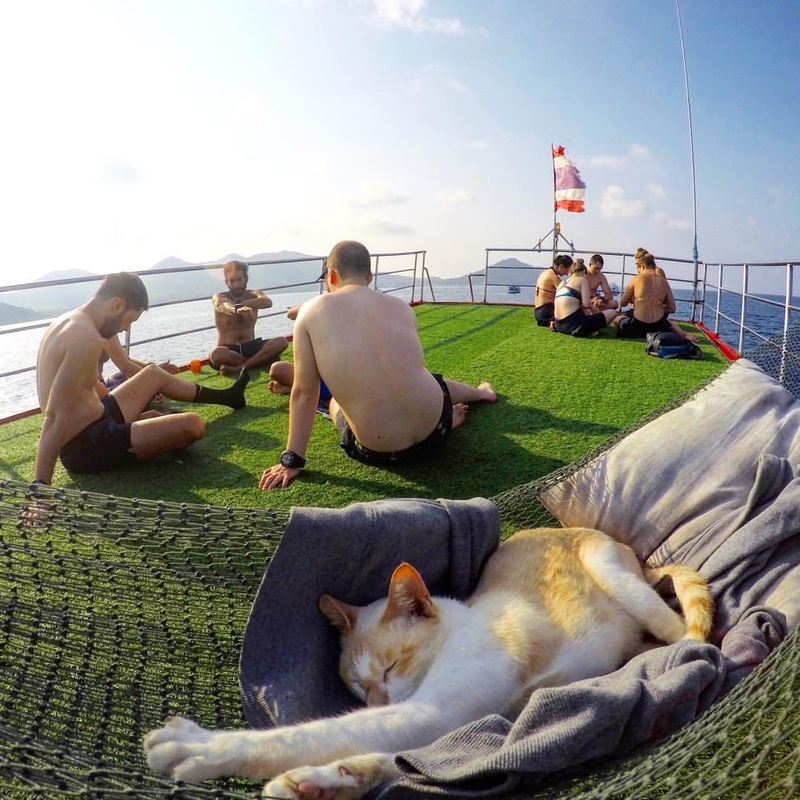 Somewhere on the boat you'll also find Mr. White, a very friendly cat who loves fish and curling up in backpacks, and dislikes being on dry land.